Father’s day is an exquisite day to celebrate, appreciate and recognize all men who hold the title ‘Father’, it doesn’t matter how they earned the title, whether biological or through adoption. Fathers are basically priests of the home, Protectors and Providers, I would summarize that as ‘destinies givers’. This is one huge title and responsibility that one had to carry, thus no amount or size of a gift would really repay what they give to us. 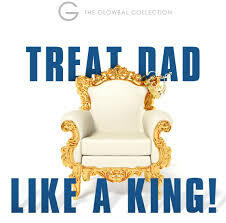 For this and many more reasons, the grand Garden city mall decided to easen up the selective period and appreciate its customers by offering a unique and first Fathers day experiential tour. What is ‘ Fathers day experiential tour’ you ask? Garden city management arranged a day to appreciate the fathers by embracing the key factors in a man’s life. The father’s would visit various shops in the malls and experience services and goods at offer and at very subsidized prices. This father’s day, Petals is holding a raffle offer where after a purchase you pick a raffle ticket and you win a gift hamper from Petals. Unlike most raffles games, in this one everyone is a winner. Leo barber, Salon and Spa- Their services are unique, each staff takes time to learn and understand the clients needs. They are offering grooming tips for hair and beard , all men know the importance of beard. Did you know they they have locally manufactured products made of purely organic plants and minerals? Well now you know, and the products ensures a smooth, healthy and supple skin. Healthy U- There’s no amount of wealth that can substitute the importance of health, and Healthy U ensured that a treat to focus on the fathers would be a good package. They are offering free nutritional advice, weight advice, lifestyle advice and even dietary advice. They ensure that the men of all age groups , depending on their vocation get their right body advice to live healthy and longer, productive life. This is the place to be, all days any day and among the fact that Garden city mall is the first green mall to receive LEED certificate and Vision 2030 status recognition in East Africa. Notably the green mall that’s supports a solar panelled Car port, spacious parking, fun and exciting children’s activities. Garden city mall is not just any other mall, they all have the consumer’s interests at heart. Despite the free WIFI, advanced security and all in one ( retail, office and leisure) facilities, they ensured that the consumer’s get maximum natural light thanks to the large glass walls and windows around. Not to forget they have a Garden City Village, highly modernized and enjoying advanced amenities, such dream homes have come to reality. It is possible to get quality service at affordable rates. Future Green economy is possible through cleanliness and recycling energy process. Its possible to enjoy fresh natural light and air in shopping malls. Its not just the Father’s day offer, but the experience that Garden City Mall offers that is just a yes, yes, yes to all shopper’s, business people, future home owners and generally the future generations. Always keep in mind, a visit to Garden City Mall is a step closer to building a brighter, cleaner future. Happy Father’s day to all current and future Father’s.